YES!!! 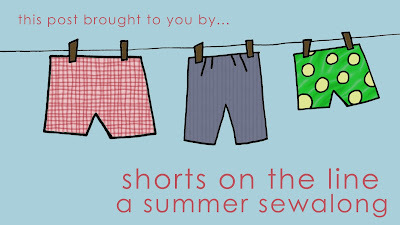 It's finally "my" Shorts on the Line "Party" Week! 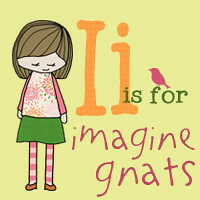 I hope all you imagine gnats and small + friendly fans are trickling on over to finish out this sewalong right here on my happy little oasis of Blog Land! To start us off, I have the famously, fantastically talented, Jessica from me sew crazy as part of the shorts on the line sewalong!!! I love HER! 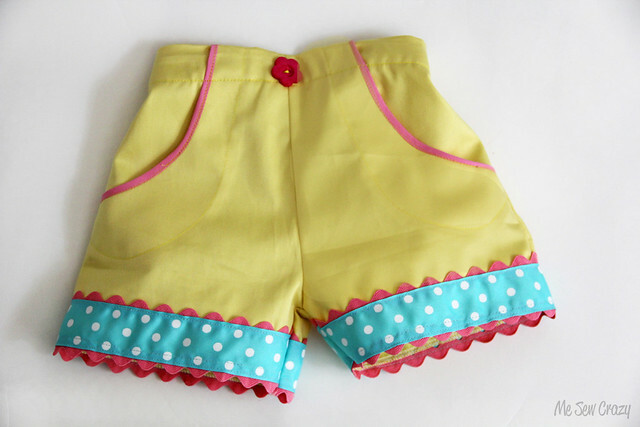 Love everything she sews, like this adorable knit baby jumper and this Fly a Kite Raincoatt! 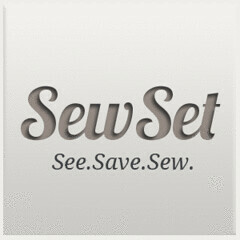 Jessica has a cute online boutique AND just released an amazing website to help us all keep track of our favorite patterns called SewSet. Really, I could just go on and on, because not only is Jessica a sweet and SUPER encouraging sister in Christ, but she inspires me to sew and create unique things for my family giving God the glory in the midst of it! Welcome, Jessica! Hello everyone! 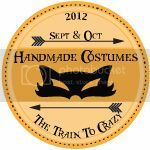 I am Jessica from Me Sew Crazy and I am thrilled to be here. Vanessa is one of those people that always has a kind word to lift me up and encourage me, I always get excited when I see an e-mail sitting in my inbox from her. So when she asked if I wanted to be a part of her Shorts on the Line Series I was honored. Of course I did!!! And then I thought and thought and thought about what I wanted to do. Have you ever had 'sewing block'? Ummm...yeah, that was me. I think it was something about the warm weather, all I wanted to do was be outside at the beach or pool. I can count myself lucky that inspiration struck when it did, in the form of a notion... 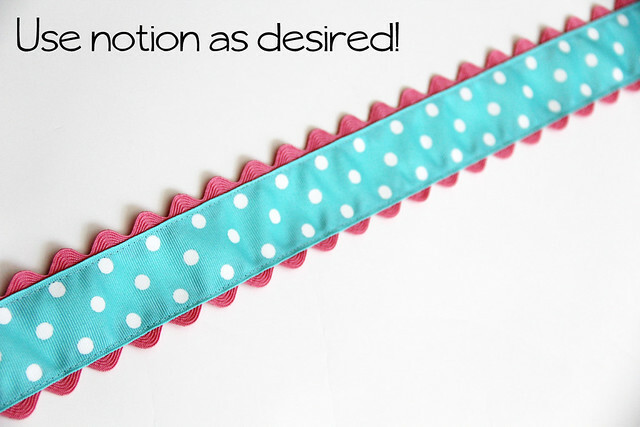 I saw this large ric rac trimmed ribbon circling a little girl's Sunday best dress in church and I just knew I had to see them on the bottom of a pair of shorts! I have loads of ric rac that I never know what to do with, and this was just so girly and perfect that I had to jump on it! Want to know how to make this notion for yourself? 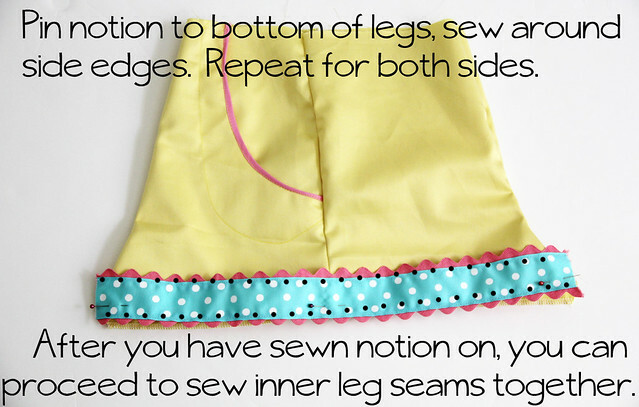 It is pretty easy, simply... Now, to add that ric rac ribbon to a pair of shorts you are sewing up is equally as simple! 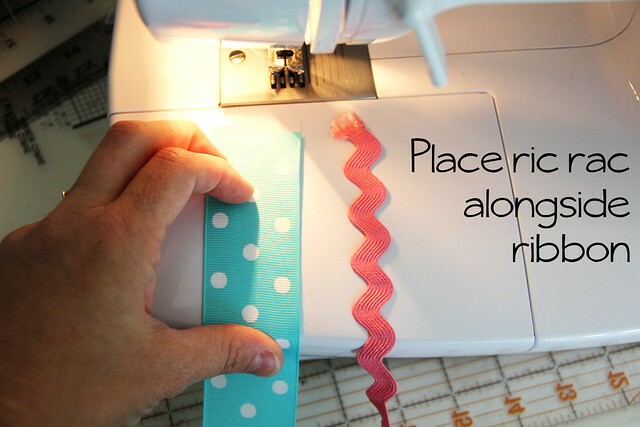 Using a shorts pattern that I already had on hand (I used Growing Up So Liberated by Meg McElwee Basic Pocket Pants), this is how I adapted them to make the ric rac ribbon hem... 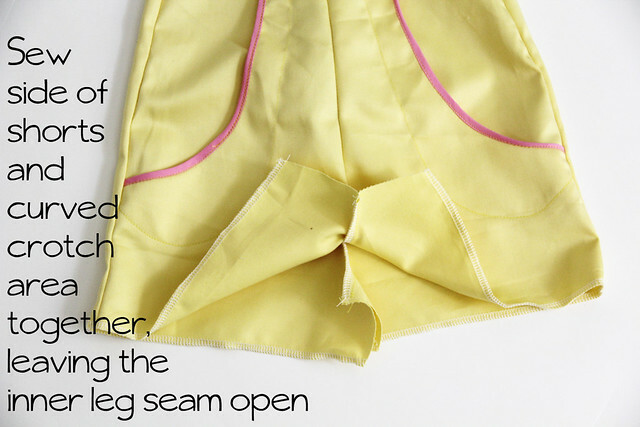 Turn raw bottom edge of shorts 1/2" towards right side of fabric and Press. And there you have it! 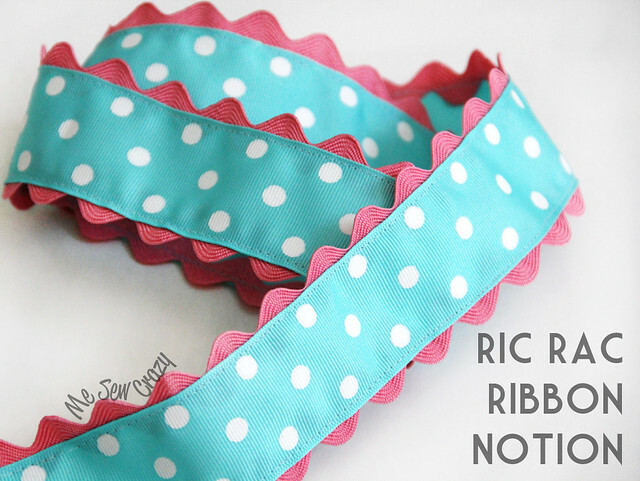 Of course you can use the ric rac ribbon any way you like, it was awfully cute on the bottom of that dress after all! 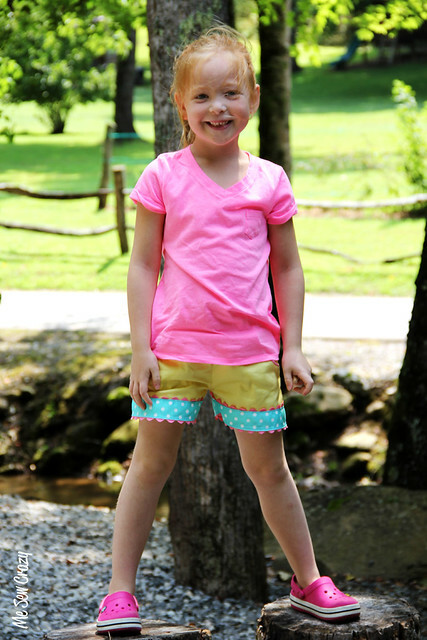 But for these Gingerbread, Candyland, Chutes and Ladders shorts, it was just perfect. Thank you again so much for having me Vanessa! 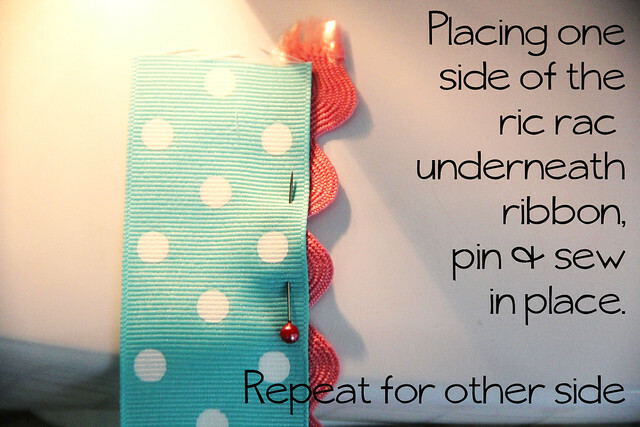 I had a lot of fun finding a new way to make a sewing notion we can all use. 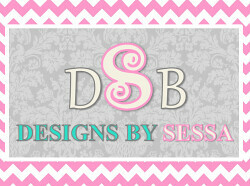 And to all of you Designs by Sessa readers, I hope you will stop by my site and say hello sometime! blog | facebook | pinterest | twitter I'm back off to the pool now - blissful in my 'sewing block' once again - HA! Happy sewing everyone! Thank you, Jessica! 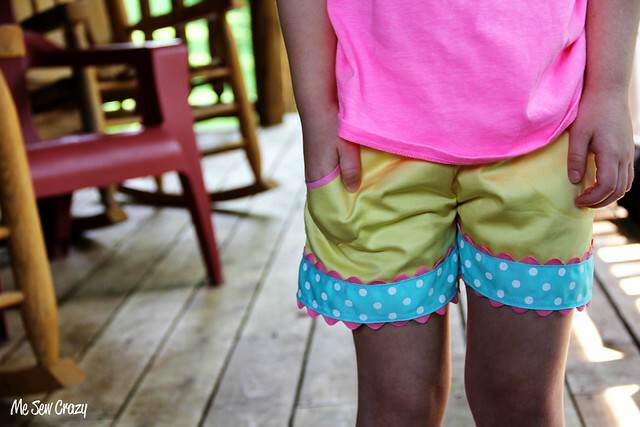 That is such a cute detail to add to any pair of shorts to make them so happy and fun! And Jessica with "sewing block"... yeah, RIGHT! JK!